For almost 100 years, YMCA Camp Cory has served thousands of individuals from its picturesque setting on the shore of Keuka Lake. Generations of Y campers from across New York State, the U.S. and foreign countries have attended the camp, year after year. We are excited to have the opportunity to expand our footprint with the acquisition of 7 additional acres adjacent to Camp. This prompted the creation of a master-plan for developing the new property (Farmstead) and upgrading the existing camp. Camp Cory’s overnight, day and specialty camps share one thing: they’re about discovery. Kids have the opportunity to explore nature, find new talents, try new activities, and make lasting friendships and memories. The camp setting sparks creativity, and once outside, there is an endless array of inquiry experiences our staff and campers create. Today, Camp Cory does more than provide a retreat during the summer months, it creates memories and character development that lasts a life time. The YMCA Camp Cory Centennial Master Plan has been created to serve more by renovating and expanding our facilities to ensure service continues for another 100 years. With the recent acquisition of an additional 7 acres adjacent to the existing property, Camp Cory is an unprecedented position for significant growth. 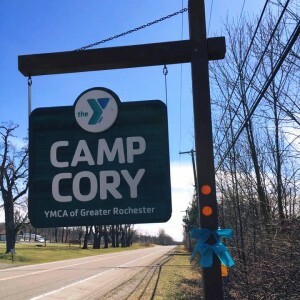 The long history of Camp Cory’s overnight camp has made it one of the most successful Y programs in the country resulting in frequent waiting lists for coveted spots. Renovation of many existing camp buildings, along with the construction of a Leadership Village, will allow us to serve more campers and staff eager to participate. The popular Counselor-in-Training (CIT) program has limited space, yet is a critical element of the Y’s commitment to building tomorrow’s leaders. The day camp program, added in 2004, provides children with many of the same experiences that overnight campers enjoy. Yet, it allows youth to return home each evening. Through this program, Camp Cory has been able to reach out into the Penn Yan community and address a critical need for dynamic, safe, accessible, and affordable quality care for children during the summer months. Without this, many parents would be faced with challenges to pursue full time employment or their own education. Included in the master plan is a design to expand day camp on the new property, create a leadership village on the new property, reconfigure program sites, and update several buildings in the existing camp. The updates to the existing camp will allow for continued growth and will help attract and retain staff. To-date, significant estate gifts, funds from the State of New York (DASNY), and special support from alumni and friends has helped Camp Cory move forward with some of the projects. As of February 2019, 65% of the $5M Centennial Campaign goal has been raised. When additional philanthropy is realized, our next phase will be to build Leadership Village around the pond on the new property, as well as the updates to current structures. We hope you will choose to participate in the success of the next 100 years of Camp Cory by investing in our Centennial Master Plan today.